peninsula have a right to know whats happening in their name. without the permission and co-operation of the landowners. water schemes in the Buncrana area like Tullydish, Clonglash, Ballymagan and Sledrin. Irish Water entry. They can stop Irish Water tampering with their property and installing water meters. These revelations question how much information the Government and Irish Water are not telling us? misinformation. We can only conclude that what they are doing is highly suspect. water meter.” However, the part of the Water Service Act 2007 which is not referred to is Section 22.
under subsection (8) authorising such entry”. (the dwelling of every citizen is inviolable). and Supply of Services act, 1980 Section 47, (Miscellaneous, Unsolicited Goods). 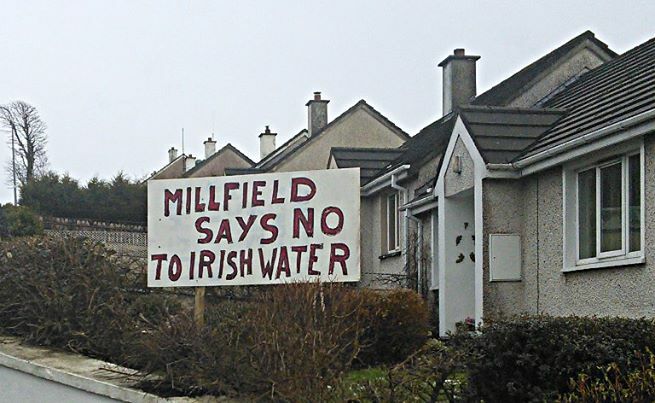 Buncrana Against Irish Water demand an immediate enquiry into this very disturbing state of affairs. representative in Inishowen and elsewhere to back us in this demand.